On top of that, Enbridge disclosed that 83 of its pump stations were missing emergency shut-down buttons. But the NEB admits that it has only just started to concentrate inspections on regulations covering backup power and shut-down systems. The regulations are anywhere from 14 to 19 years old. "Enbridge would never knowingly operate outside of regulatory requirements. In fact, we do more than ask people to trust us, we say look at the evidence. We say look at our record, which is better than the industry average," said Enbridge spokesperson Graham White. He added that the minimum for Enbridge is compliance with NEB regulations, but said at the vast majority of facilities the company goes above and beyond. In the case of backup power, that rule has been on the books since 1999. The emergency shut-down button has been a must since at least 1994. White said Enbridge's non-compliance is a problem of interpretation. He said that the NEB has changed the way it interprets the backup power regulation. "We had an expectation that was indicated to us from previous inspections by the NEB, where these issues were not raised," said White. The problems with Enbridge's pipeline safety came to light in 2011 during an NEB inspection of facilities on the company's Line 9 pipeline between Sarnia, Ont., and Montreal and at its Edmonton terminal. Inspectors found that the terminals at Edmonton, Sarnia and Westover (near Hamilton, Ont.) and pump stations at Westover and Terrebonne (near Montreal) were missing emergency shut-down buttons. The pump stations were also missing backup power systems. Once the discoveries were made about these stations and terminals, the NEB asked Enbridge for and received information about the rest of the pump stations in its Canadian system. Enbridge has since installed emergency shut-down buttons at all 83 pump stations. It also has an NEB-approved plan to retrofit all 117 pump stations with backup power although no timeline has been made public for when facilities will be brought in line with regulations. The NEB admits that it has only just switched the focus of its inspections to make these particular safety regulations a higher priority. "The company is always at fault. The regulator's purpose is to make sure the regulations are met," said Iain Colquhoun, the NEB's chief engineer. He went on to explain that, in the past, the NEB didn't see the need to inspect backup power systems as a high-risk priority. "So perhaps it has not got the attention that it has in the past. But now that it has got our attention, we absolutely require companies to have an auxiliary power unit [emergency backup power] that's capable of closing down the station in an emergency," said Colquhoun. Enbridge said that it does have backup power systems but they use what is known as an uninterrupted power supply. Essentially, they are batteries that can keep the lights on but are not powerful enough to shut the valves that would stop the oil flowing in the event of a spill or other accident. An auxiliary power unit — like a diesel generator — would be strong enough to return a pump station to a fail-safe condition. 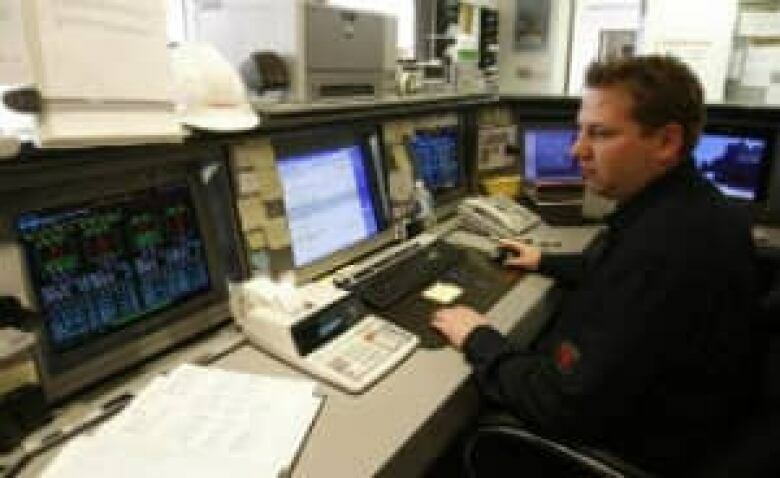 In the event of an external power failure, it would allow Enbridge to shut down a facility remotely from its operations centre in Edmonton. In the event that the operations centre couldn't remotely shut down a pump station, a person should still be able to go out to a station, hit the emergency shutdown button and the auxiliary power unit would provide the power to turn off the facility. The problem for Enbridge is that the company does not have auxiliary power units at 117 of its 125 pump stations. To outside observers, the safety situation at Enbridge is problematic for the regulator. "From a public perspective, going this long never looks good. I mean that's just common sense," said Richard Kuprewicz, an independent pipeline safety engineer, based in Seattle, Wash. But Kuprewicz said it isn't really the regulator's fault. "Not having the backup power supplies on pump stations if they're required to have certain protections to kick in during a power failure is a very serious thing. And so that's a more grievous issue and that needed to be addressed and should be, like basic pipeline 101," Kuprewicz told CBC News.